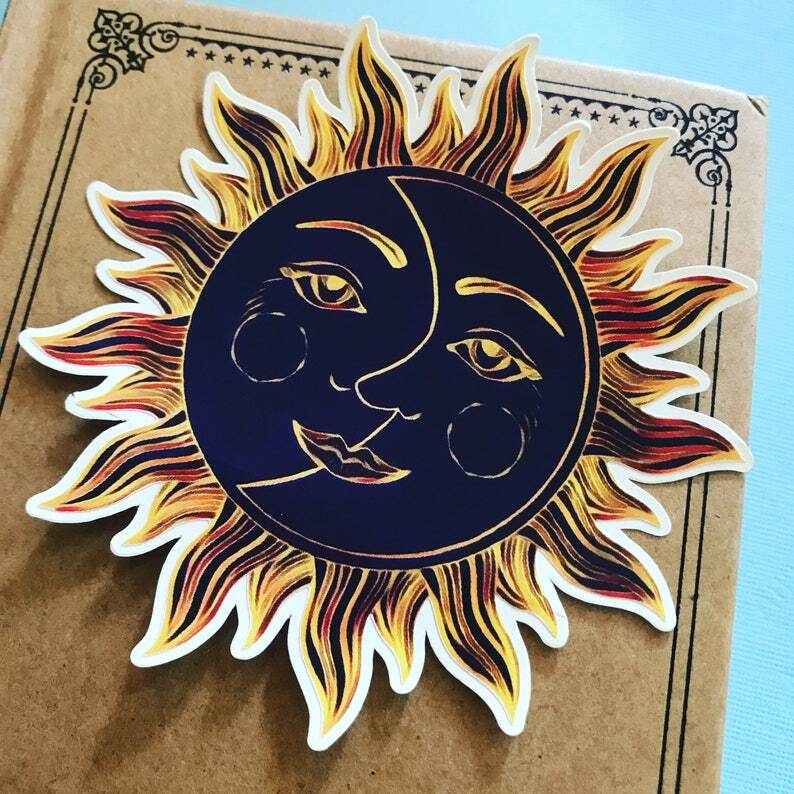 This sticker design features an image of a sun with a moon inside of it. 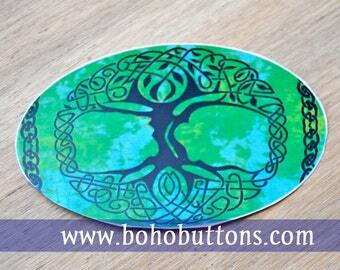 This sticker is about 3.5 inches (8.9 cm) round in diameter. Great quality and easy application. I had hoped it would be a bit bigger as I originally planned on putting it on my back window of my car. It looks great on my laptop though! Looks so good on my hydro flask!